The ongoing story of getting back to doing what you love. Well, this is getting to be more of a challenge as time goes along. Highs and lows all over the place! I had finally secured 6 months of work with a local group starting in January only to receive info that the group was folding due to lack of interest and low numbers. CRAP! It was a bit of a kick. I e-mailed back saying that I was sorry to hear of the decision and hoped that the two organizers would keep me in mind for any future modeling work that may come up with classes they taught or artists looking for a model. Well, after some negotiations I have picked up more work starting in January and continuing on till June. While it is about one session a month or so, it’s another chance to hopefully pick up another steady group to work for after the sessions are done. Already a model has cancelled on them at the last moment which is very unfortunate. I am hoping it wasn’t one of the untested models they were talking to. It makes it even more challenging for other untested models to secure work or at least not be scrutinized more closely when other new models flake out on a group. I am thinking that where I live, male models may outnumber female models which makes finding work more difficult, especially if you are new to a group or to the model community in general. While I have every intention of sticking with figure modeling as I truly enjoy it, I have to realize that either it will take months or even a year or two to get regular work or at least work my way onto different group’s list of regular models that can be relied on to show up, be professional etc. Even then, I will most likely have to be contacting groups on a regular basis to remind them of my availablility. Differences in venues and vibes. Well, the other night marked another opportunity for me to model for a local group and I couldn’t help but notice the differences in venue, attitude, vibe etc. As you may have read in my previous posts (or most likely not as hardly anyone reads this thing 🙂 ), I have been looking for modeling work since I started again. I have had a few sessions with one figure drawing group. It has a very nice location, newly renovated, top notch. The model platform is about 3 feet off the ground, padded and has sparkling new white sheet on it in the middle of the studio with very nice areas for the artists and plenty of lighting. My choice of a private room or the bathroom (also newly renovated), to change in. Pretty much as nice as you are going to get. The second venue, the one I modeled at last night, is almost 180 degrees different. Upstairs in a downtown building that dates from the 1940’s. Run down, has that “old building” smell, it’s a maze to get to the studio space that was used, peeling paint, painted concrete floors and a run down bathroom to change in. As I was getting into my robe in the bathroom, while trying not to touch things or have my bare feet hit the floor, I was thinking “What the hell am I headed into? ?” Things continued to get more interesting when I walked in and the podium was a 3X4 sheet of plywood on 4 milk crates covered with a sheet that looked like it had seen better days. Now, as a figure model, or just as a person, which venue would you choose to do a session for? I choose venue #2. Surprised? Maybe, maybe not. Personally, it all comes down to who you are working with in both the group leader and the artists. It all comes down to the “vibe” you get and how the session is run. Venue #1, while the people are very polite etc, you don’t get that “open” feeling as much as venue #2. At venue #1, I did get the feeling that I was being critiqued more than I had bargained for. I had been very honest about my experience in modeling and the gap in time that I had been away. I was told that it was no issue and that they take interest in helping models expand. The coordinator at #2 was/is great. Very open, very down to earth. I talked with him as he set up, asked him about the group, asked about the models in my city, numbers of males vs. females etc., just generally picked his brain. I managed to get a lot of new info. It seems that there is a balance of female vs. male models but it depends on who is doing the booking and he freely admitted that some people prefer fit female models and that is what they book. He also told me that many models he has worked with, mainly if they were younger, would model for a short while and then decide to do something else. He said that his main group of models were a little older, some retirees but generally the stable ones were not doing it for reliable extra money. I digress. Wow. What a boost that was! I had been having doubts about myself for a few weeks now after my last session with venue #1. It could all be in my head but the session at venue #2 was like a shot in the arm. Relaxed, great group, great vibe, cooperative, free!!!!! The coordinator made tea for everyone and made sure I had a mug available to me while I modeled. It was great. While I have no intention of turning down work at venue #1 if they book me again, I will not hesitate to work with venue #2 in the future. It was so energizing and uplifting. The artists were spectacular and while they didn’t specifically share their drawings, I did see a few glimpses during poses and they looked great. Very talented bunch! Venue #2’s coordinator asked me about my availability over the next few months so I am hoping for some repeat sessions. I would love to go back. It was just what I needed. 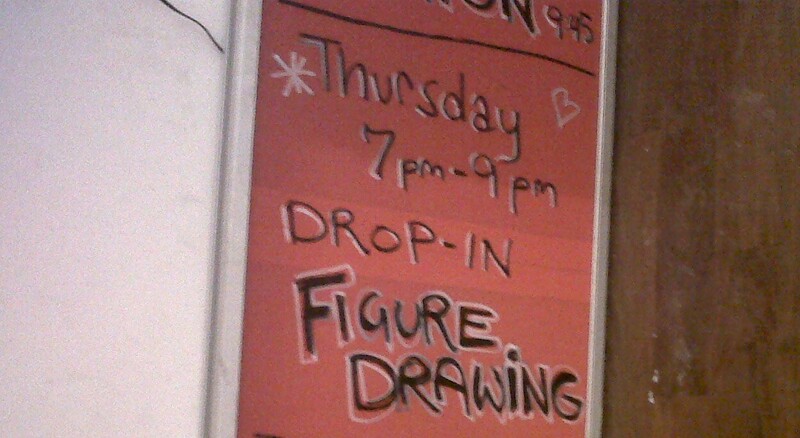 Well, after about a week of “pounding the pavement” via the internet for figure modeling jobs, I received positive replies along with a session booking from a new figure drawing group. I am now on the model list for both universities and made contact with other groups and individuals. Happily, one class/organization is always looking for new models to add to the ones they use. I was contacted and asked questions about my background in modeling which included who I had modeled for. I was then asked if I was available for an upcoming session, which of course I was! It’s a very informal group I was reassured by the coordinator. I asked about the art space, the dais, props etc which prompted a phonecall from the coordinator. I had all my questions answered and am now prepared for this week’s session. I confirmed the session in an e-mail and thanked the coordinator for the opportunity to model for his group.